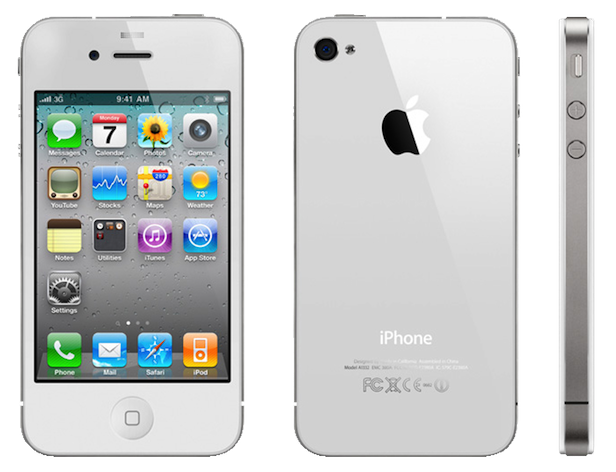 The trendsetting Apple iPhone 4 was released to high acclaim in June 2010. It shipped with iOS 4 as the standard operating system (now upgradeable up to iOS 7) and was widely regarded as the premier smartphone of the year. While iPhones usually carry a longer shelf life than other phones in their class, after a couple years it is likely that you will begin experiencing software problems such as errors, closing applications, and other increasingly frequent annoyances. Performing a hard reset on your iPhone 4 can, in many cases, resolve these software errors and bring the phone back to life for another cycle. The iPhone 4 was a major upgrade to its predecessor, the iPhone 3GS. By including the now-standard dual-camera setup, applications such as FaceTime made their global debut alongside this iPhone, and the modern methods of iPhone use became largely standardized. The 1 GHz A4 chipset was one of the most powerful available at the time, and a new level of syncing with iTunes was introduced. Before moving on with the hard reset procedure, it is very important to make a recent backup of all your applications, contacts and personal data. All of this data will be erased when you reset the iPhone to factory settings. Both the backup and restore process can be performed automatically through iTunes. Any data that is left on the iPhone without being copied in a backup to your Mac or PC will be lost during the reset process. From the home screen, enter your Settings folder, then go into General. Enter the Reset menu at the bottom of the resulting screen. Select Erase All Content and Settings, confirm and let the iPhone restart. Switch the iPhone off, and open iTunes on your computer. Hold the Home button down and connect the USB cable from the computer to the iPhone. From iTunes, select Restore and let iTunes handle the rest. Connect the iPhone to your computer using the USB cable, and open iTunes 11. Click on the iPhone button in the upper-right hand corner to open your options menu. Click on Restore iPhone, confirm the iTunes alert that will warn you directly afterwards. Click on Restore And Update, then on Next, agree to the license agreement and continue. iTunes will restore the iPhone after a few minutes of initialization, and then ask you to begin restoring your data back to the iPhone. iTunes will save a snapshot of your entire phone’s content and put it back in exactly the state it was in at the moment of your backup. You just need to factory reset the phone from the settings in your phone. it is really easy just look it up on youtube.